Modern science has confirmed that kidney health is indeed critical for the overall health of the body. Kidneys failure is often linked to problems occurring in other organs and systems that lead to diseases and common ailments. High blood pressure, fatigue, impotence, joint and back pain, even ringing in the ears can all be symptomatic of unhealthy kidneys. 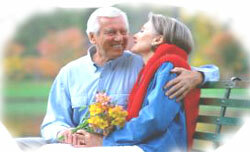 Many regard kidney health as the key to longevity. And Marvlix, Elixir Industry's proprietary production of Cordyceps sinensis, is the key to kidney health. While we don't have a complete understanding of the reasons that Cordyceps has such a remarkable effect on kidney health, scientists have made great progress in this regard over the last 10 years. In 1998, Dr. Zhou and his team discovered that the renal health-enhancing potential of Cordyceps may come from its ability to increase 17-hydroxy-corticosteroid and 17-ketosteriod levels. Chronic renal failure is a life-threatening condition that often affects the elderly. In a 1992 study of 51 patients with chronic renal failure, Dr. Guan and his colleagues found that the group of patients receiving 3-5 grams of Cordyceps sinensis per day showed significantly improved kidney function and overall immune function, as compared to the placebo group. Patients with kidney problems often suffer from hypertension, proteinuria and anemia. In a study involving such patients, a 15% decrease in blood pressure was observed after one month on Cordyceps. Urinary protein was also significantly reduced. In addition, an increase in superoxide dismutase was observed and documented. The study further suggested an increase in the free radical-scavenging capability of oxygen in the bloodstream, which would result in reduced oxidative cellular damage. In another clinical study, 57 patients with gentamicin-induced kidney damage were treated with 4.5 grams of Cordyceps per day or by other, more conventional methods. After six days, the Cordyceps group had recovered 89% of normal kidney function, while the control group had recovered an average of only 45% of normal kidney function. The time-to-recovery was also significantly shorter in the Cordyceps group as compared to the control group.